NO EXCUSES. Efficient Ways to Train and Recover at Home. Build Your Home Gym–Excuses are limited when you have all of the equipment you need for a killer strength/core circuit at home! Perfect Fitness has you covered (as seen in Women’s Running and demo’d by Skinny Chick Blog). Install the Multi-Gym in a doorway (it won’t damage it) and keep an Ab Carver Pro with some Resistance Bands nearby and we guarantee you will feel the burn! Convenient Caffeine–Forget wasting time waiting for a pot of coffee to brew or taking a detour to the coffee shop, keep a Clean Energy Patch handy at all times and simply apply whenever you need an energy boost and mental focus, according to Triathlon Retailer and Industry News! The gentle hum is perfect for a workout–just enough to get you going without overwhelming you with a buzz! Hydrate At All Times–No excuses on this one! Make sure you have water or your hydration fluid of choice handy at all times. The new Clean Bottle Square is super easy to clean, ultra-portable and even comes with a purifier to enhance flavor with fruit infusion! 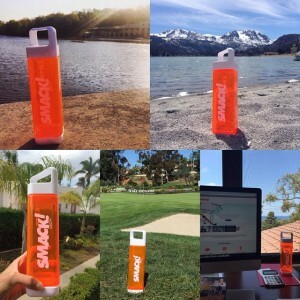 The entire team of SMACKANISTAS take their orange bottles everywhere! So forget your excuses! 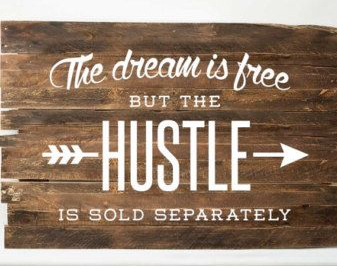 When there is a will (and some great new products), there is a way to meet your health and fitness goals without sacrificing time or results!